Most of my medium frame revolvers are made by Alpha Proj and imported by Czechpoint. I like everything about them but would rather not subject the blued finish to the high humidity of Tennessee summers. I still remember the Sig 230 and the Browning Buckmark that came back orange with rust after just one weekend of abuse. Solution: I sent one to WW Guns in Alabama and got it back Cerakoted in two tones to my specifications. The back of the front sight is not visible in these photos but it remains full contrast matte black. Slightly lighter rear sight helps de-emphasize it when aiming. This entry was posted in pistol and tagged 38Special, Czechpoint, revolver. Bookmark the permalink. I can’t speak for the Sig P230, but I had my Sig P232 in my cargo pocket when I was kayaking on Lake Harney, which is part of the St. John’s River here in FL. A storm came in while we were crossing the center of the nine square mile lake, and the waves came up behind us. At first, I was riding the surf, but soon discovered that I was filling with water, and I was quickly beneath it. I had to roll out of the Kayak to keep it from sinking, and spent about half an hour in the water trying to recover the gear that would float, and right my boat with the help of my friend Chris. The whole time, my P232 was in my pocket, and I was most worried about it falling out, so I made sure both buttons were secured, and tried to avoid drowning. Fifteen feet might as well be 10,000 when you’re miles out an in a lightning storm. We were eventually able to right the boats, and catch a ride back to shore. Exhausted, when I got home, I went to sleep immediately. The next evening, I took the Sig apart to clean it and de-rust it, and it was miraculously free of rust. I wonder if they started using Melonite/Tennifer on these? I was quite impressed. I cleaned it and oiled it as I usually do, with special effort made to blow out any water that was inside and coat it with WD40 and grease on the normal components. Still good. I only wish the magazines were reasonably priced. 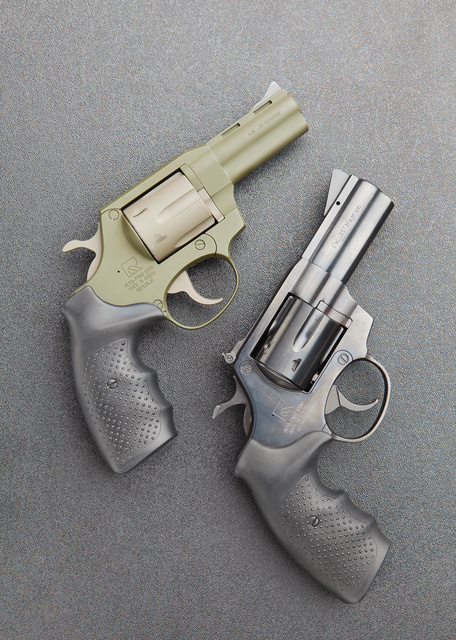 Would you be willing to do a review of the Czechpoint revolvers? I had never heard of them before reading this post, but they appear to be reasonably priced alternatives to a S&W or even a Ruger. The last issue of Concealed Carry magazine has my review of it. I see they make K frame sized revolvers in .32 S&W long, as well as .357 Magnum. The four inch barreled version would make an excellent platform for the .327 Federal Magnum cartridge. Why haven’t I heard of Czechpoint revolvers? Oh, that’s right, I live in Kalifornia. I think you will be well pleased with the cerakote. Just had my loaner 10-22 done after about 50k rounds, being buried under ice, rained on several dozen times, and subjected to pretty rough treatment. 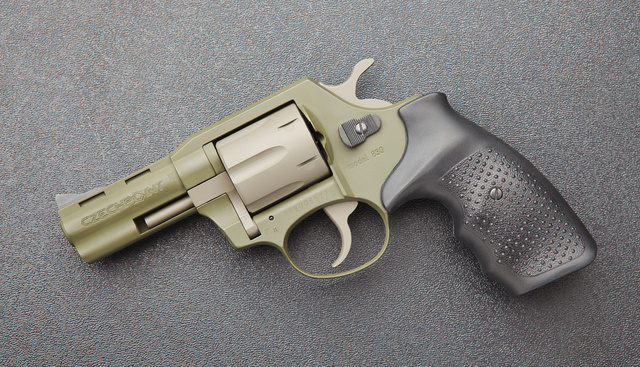 The finish came back exceptionally well done, in fact, it was significantly better than the original finish from Ruger. Now, after several thousand rounds the only parts of the cerakote finish that show wear are in the receiver where the bolts rides against it. Much happier with it than durakote. If you don’t mind me asking — what did that Cerakote job cost you? I really like the way it turned out and would consider doing it on a gun or two of mine if the price was right. I live in Tn also.